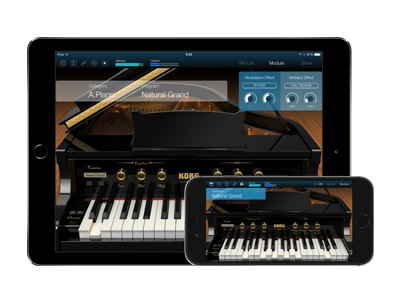 The high-quality mobile sound module app ”KORG Module for iPad” has had a major update. 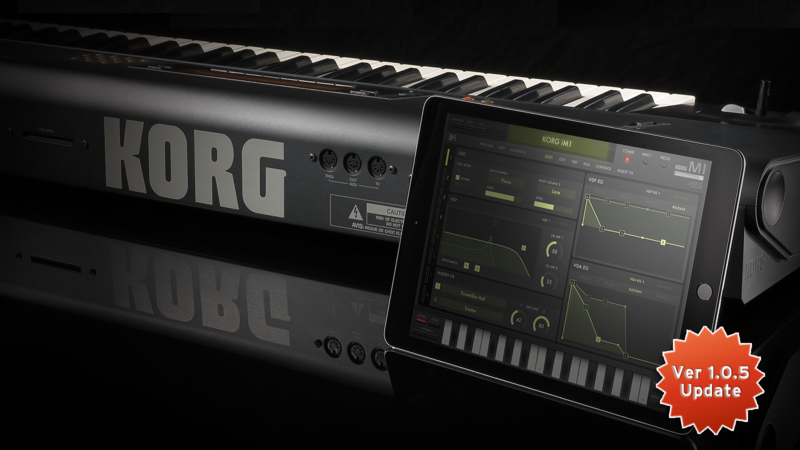 It has evolved into the iPad and iPhone compatible universal app “KORG Module”. 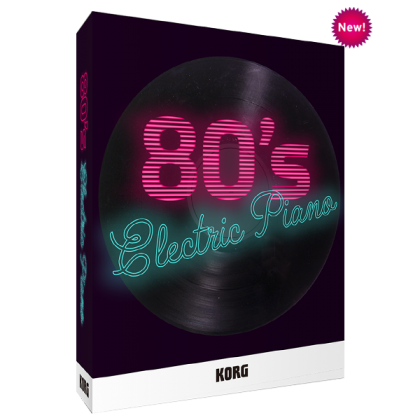 In addition, new expansion sound libraries “80’s Electric Piano” and “Mellow Tape Keyboard” have been added, enabling you to perform a wider range of quality sounds than ever before anywhere you are. 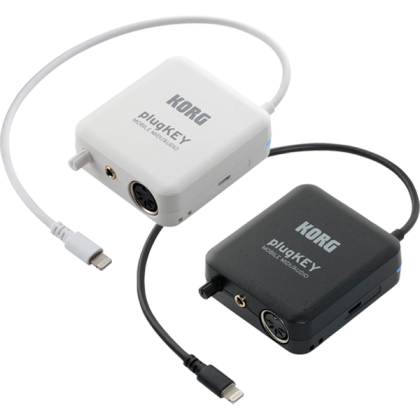 Transforms into an extreme sound module with "plugKEY"
When combined with the mobile MIDI/audio interface ”plugKEY”, KORG Module transforms into an extreme mobile sound module. 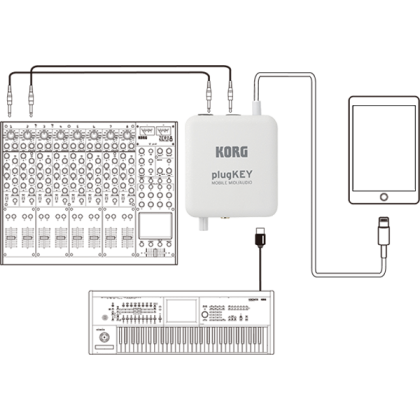 Using your MIDI keyboard and audio set up through plugKEY and connecting to KORG Module enables you to perform high-quality piano and keyboard sounds in the best environment. In addition, the ”KORG Module for iPhone” previously sold as the stand alone iPhone version, is undergoing a name change to ”KORG Module Standard for iPhone”. Hereafter those who want the full version can buy KORG Module, while those who want the “lite” version for iPhone with only 5 modules can purchase KORG Module Standard for iPhone. 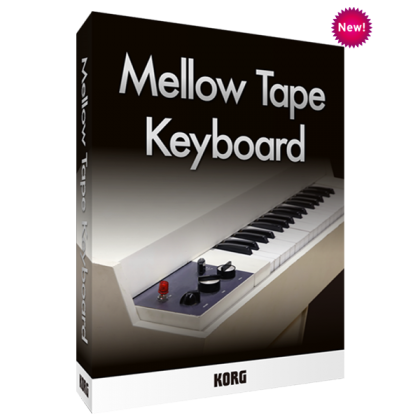 Also, as a gift to existing owners of KORG Module for iPhone, the new expansion sound library “Mellow Tape Keyboard” will be provided free of charge until July 31st. 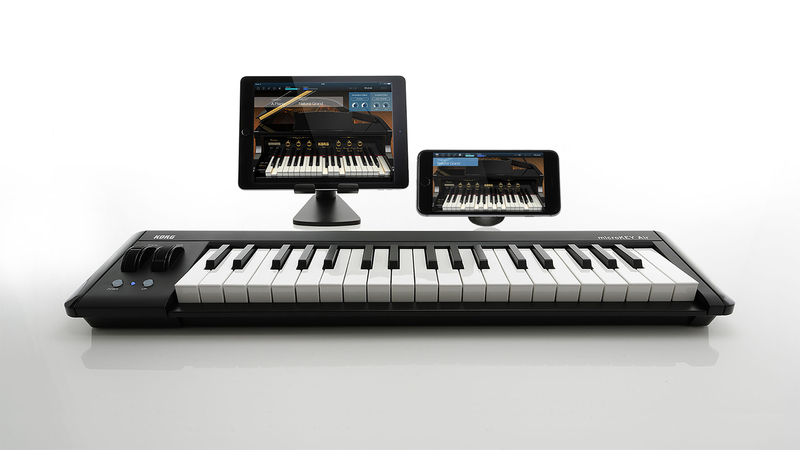 Furthermore, the free KORG Module Le for iPad has become the universal app ”KORG Module Le”. Because of this we have stopped offering KORG Module Le for iPhone. 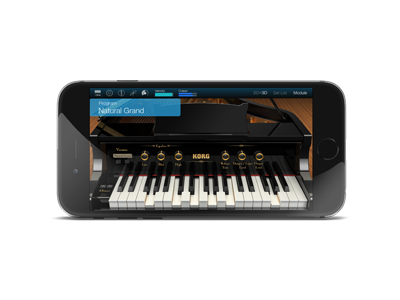 We hope everyone will enjoy KORG Module on both the iPad and iPhone. - Universal support: Can be used with both iPads and iPhones. - Improvements to the settings page for assigning MIDI channel features, etc. Furthermore, KORG iM1 for iPad has had a minor upgrade, with Library Cards 3 & 4 added. Through linking with the KORG Gadget you can use even more user programs. - Library Cards 3 & 4 newly added. 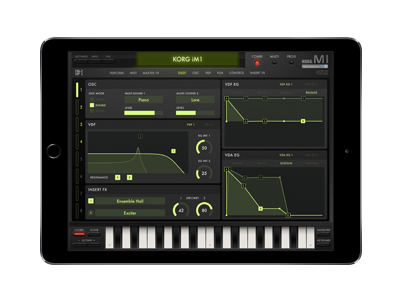 Home News KORG Module major update making it a universal app compatible with iPads and iPhones.